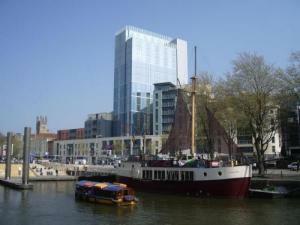 Choose from 36 hotels and guest houses in City of Bristol. Shown below a just a selection of the hotels available. To search within an area please use the menu on the right. Just a 5-minute walk from Bristol Temple Meads Station, Premier Apartments offer a modern and stylish home-from-home during your stay. These 4-star apartments are fully furnished and appointed with modern amenities, including a fully equipped kitchen with washer/dryer. Their tasteful decoration combined with home comforts make them the perfect home-from-home for short and long stays. Enjoy preparing meals in the stylish kitchen and dine with friends around the table. Relax in the lounge after a day of meetings or sightseeing and watch movies on your flat-screen LCD TV. The friendly staff at Premier Apartments are extremely knowledgeable and are more than happy to help with any queries you may have. 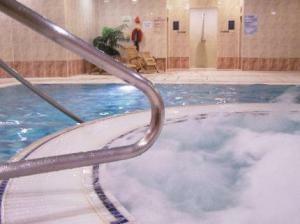 You can also benefit from a discounted membership at the local fitness club throughout your stay. A 10-minute walk from Premier Apartments will take you to Bristol's city centre and its business and shopping districts. There are also plenty of bars and restaurants surrounding these unique apartments. In a central location close to Bristol's city centre offices, this is an exclusive development of quality one-bedroom apartments. Each fully furnished apartment has a spacious living and dining area, separate fully-equipped kitchen, double bedroom and a separate bathroom. 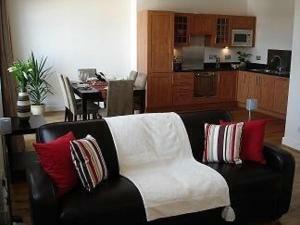 The apartments overlook Temple Gardens, and are a short walk from the popular Floating Harbour and Waterfront areas. Warm and welcoming budget hotel in the heart of Clifton For excellent service and facilities combined with low prices, there's no better place to spend a weekend or holiday. The minute you walk into the bright, colourful reception area of The Washington you can tell that this is no ordinary budget hotel. With The city-centre shops and tourist attractions close by you are never more than a short walk away from finding your Bristol. The Washington was once a large and grand private house. The bedrooms still retain high ceilings and, in many, the original floor to ceiling windows with shutters so the bedrooms are light, airy and comfortable. The hotel is situated in the charming district of Clifton, above the spectacular Avon Gorge and overlooking Brunel's famous suspension bridge. 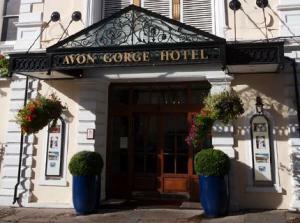 Business and leisure guests alike will enjoy staying at the Avon Gorge. 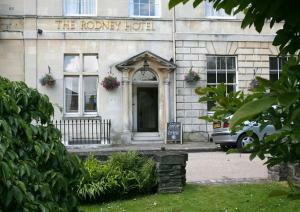 This comfortable hotel is located in fashionable Clifton, just 2 miles from Bristol city centre. The hotel is home to one of Bristol's finest restaurants, the "Bridge Cafe" and the famous White Lion Inn where guests can enjoy alfresco dining on the terrace while enjoying the wonderful views. 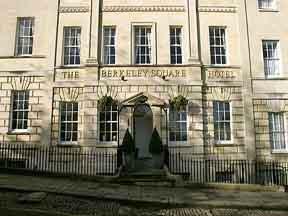 The Berkeley Square is situated in the trendy and central Clifton area of Bristol, and is dedicated to Art and unique designs. The elegant hotel prides itself on its first-class hospitality and its individuality. Everything about the hotel is unique, from the original works throughout the property to its private members club. The Berkeley Square is on the doorstep of the best shops and restaurants, and is across the road from the new Banksy exhibition running this summer. 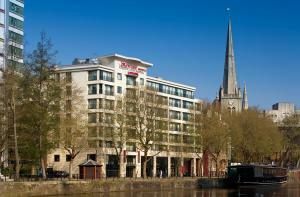 Clifton Hotel is walking distance from the city centre. It has a converted cellar bar, a new caf?, a relaxed atmosphere and friendly staff available 24 hours a day. Park Street boutiques, the Waterfront's bars, the restaurants of Clifton Village, the zoo and Brunel's suspension bridge are within walking distance. 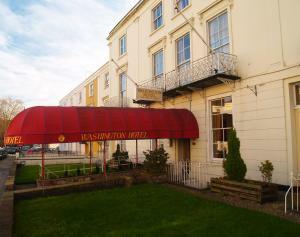 The hotel offers deals at 2 local health clubs: Cannons and Clifton College, which are both a 5-minute walk away. 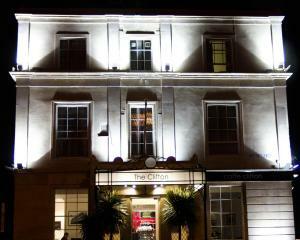 Clifton Hotel is a converted Neo-Classical house built in Bath Stone. 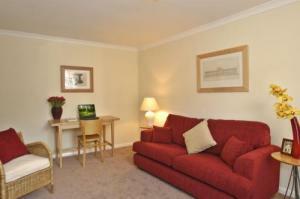 Each room is individual and has hot drinks including fresh coffee, fruit and hand-baked biscuits. Many rooms have original 19th-century features such as floor-to-ceiling windows. The hotel's secure car park can be booked in advance. Located on Bristol's harbourside and close to SS Great Britain, these fabulous 2-bedroom, 2-bathroom apartments are extremely spacious and just a short walk from the city centre or Clifton village. 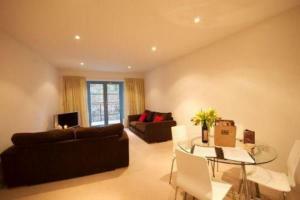 The apartments are very large and are furnished to a high standard. Restaurants, supermarkets, cafes and pubs are all within a 2-minute walk. Tucked away in an elegant Georgian Square, a short walk from the city centre and a short drive from the M32, these stylish apartments offer modern, convenient exclusivity. From the Deluxe Studio to the decadent Penthouse Suite, the spacious, fully-equipped apartments give you the freedom and flexibility to relax the way you want to. The apartments have all the facilities you would expect in your own home, including free broadband, health-club access and secure parking. This sophisticated Victorian conversion is tucked away in the peaceful lanes of Cotham. 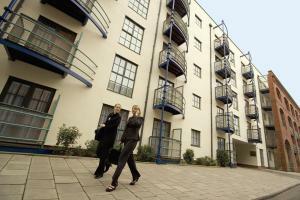 It is a 5-minute walk from Whiteladies Road with its lively bars, boutiques and restaurants. The Portland Apartments Archfield Road is close to main routes in and out of the city. There is a free chauffeur service from Bristol International Airport (subject to prior notification). The spacious, fully-equipped apartments give you the freedom and flexibility to relax the way you want to. 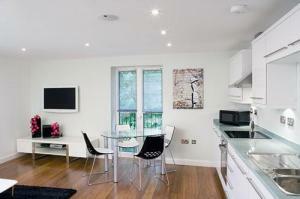 Features include satellite TV, a kitchen with modern appliances, a weekly linen-change and a garden. Near Temple Meads station and close to the new Cabot Circus shopping/leisure development, these luxury serviced apartments provide modern technology and designer touches. Each of the Geometric Serviced Apartments has a lounge area, 1 or 2 bedrooms, kitchen and bathroom. Original contemporary art, designer furniture and bamboo-teak floors create a chic living space. All Geometric Apartments have access to a communal terrace area, with barbecue. For entertainment, try the large flat-screen TVs (32 inches/81 cm in the bedroom) with DVD/CD players. You can even play your own music with a remote-controlled iPod docking station. You'll hear it throughout the apartment with an integrated hi-fi system, using Bose ceiling speakers. Located in the Old Market area, the Geometric Apartments offer free high-speed broadband internet (17MBp/s) and a direct phone line at very reasonable call rates. The kitchens come fully equipped with all appliances and equipment, while bathrooms are finished with stylish Italian panelling and high-pressure showers. 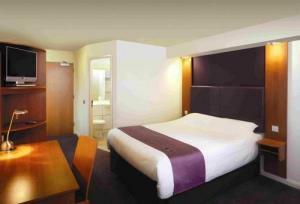 A great combination of award-winning food, comfortable rooms, friendly staff and free secure parking. 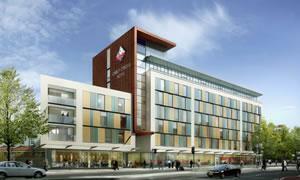 Close to the city centre and the best value hotel in the city. Part of the Forestdale Hotel Group. Our customers rate us so highly because of our combination of friendly service and fantastic facilities. Our modern bedrooms are comfortable and welcoming with everything you would expect to find in a three star hotel and more, with the addition of the Forestdale plastic ducks in the bathroom. Our food has won awards for its originality and taste, and we can cater to all moods with our modern bar food and more traditional glass-roofed restaurant. Most people appreciate the easy access to the city centre and train station, especially when they realise that car parking is easy, secure and free. Finally, read what our customers say about us as we know we are friendly, have a great hotel and good food, so don't take our word for it, come and see for yourself.